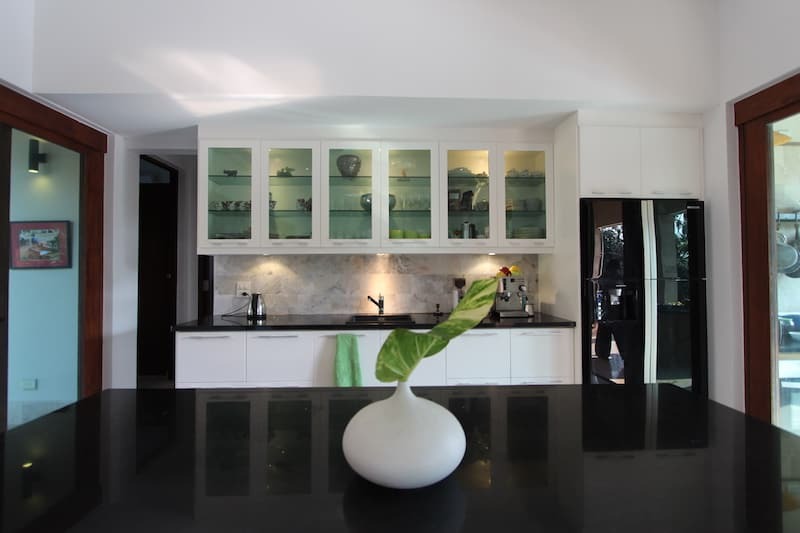 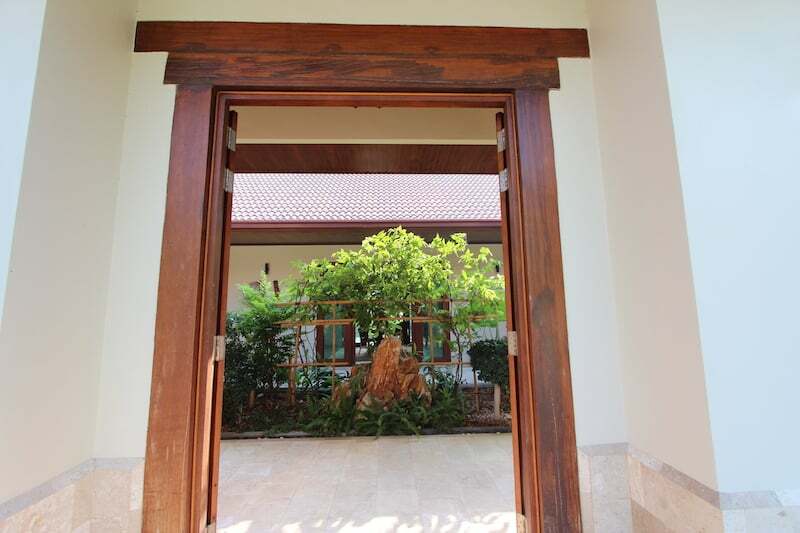 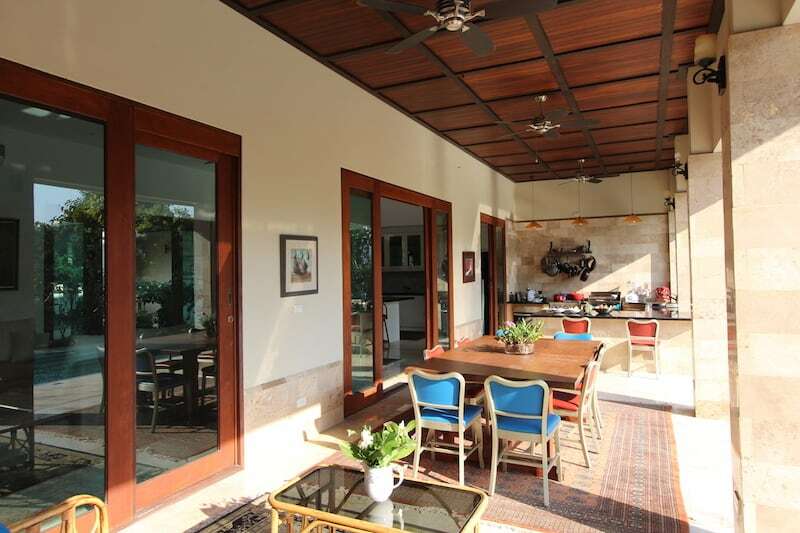 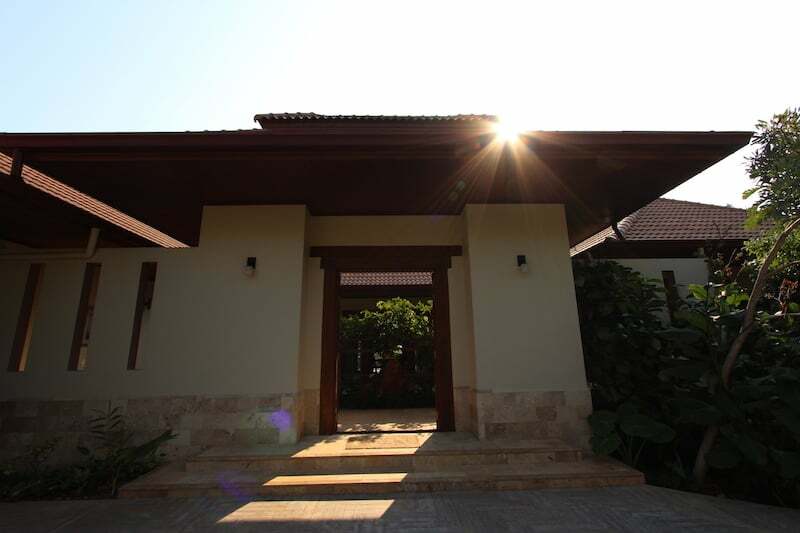 This is an exclusive rental listing from Executive Homes Hua Hin. 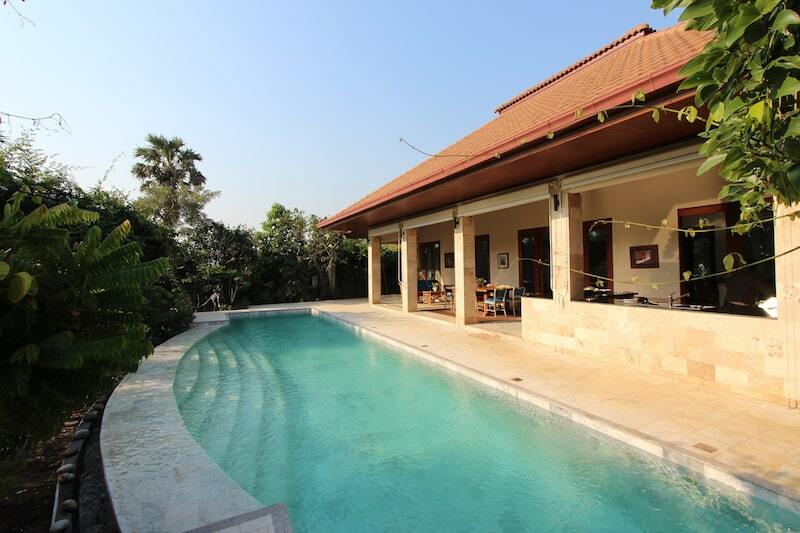 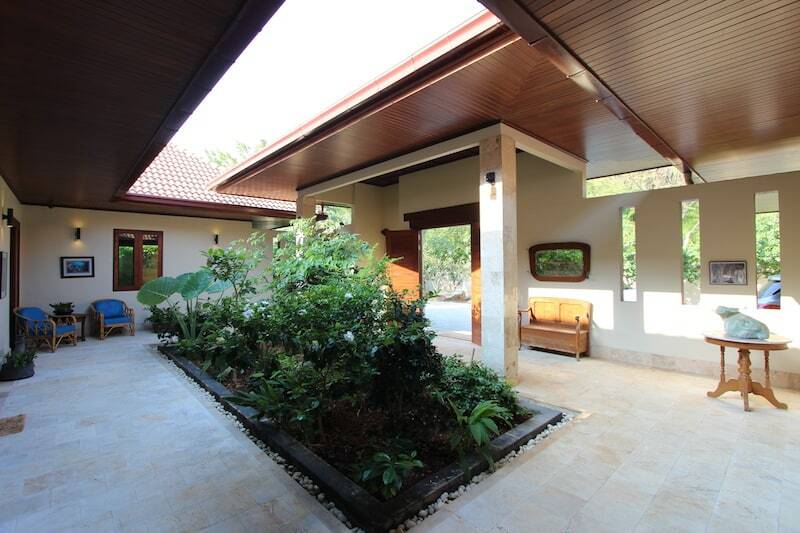 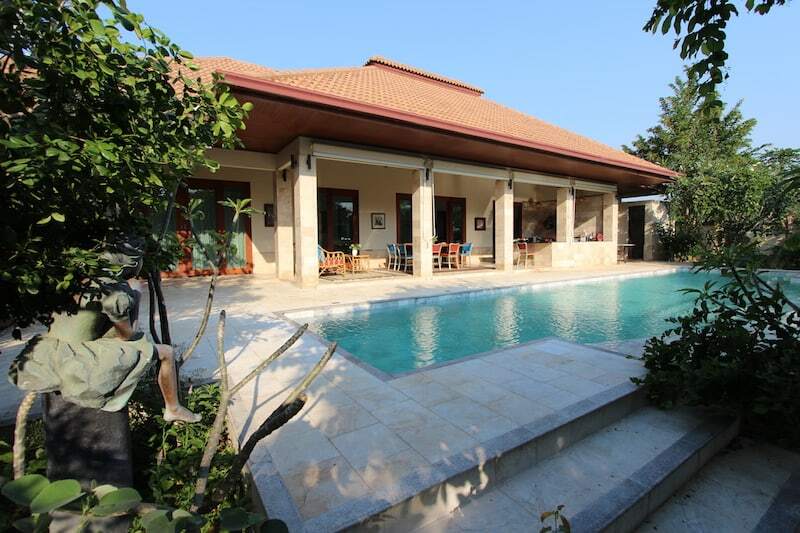 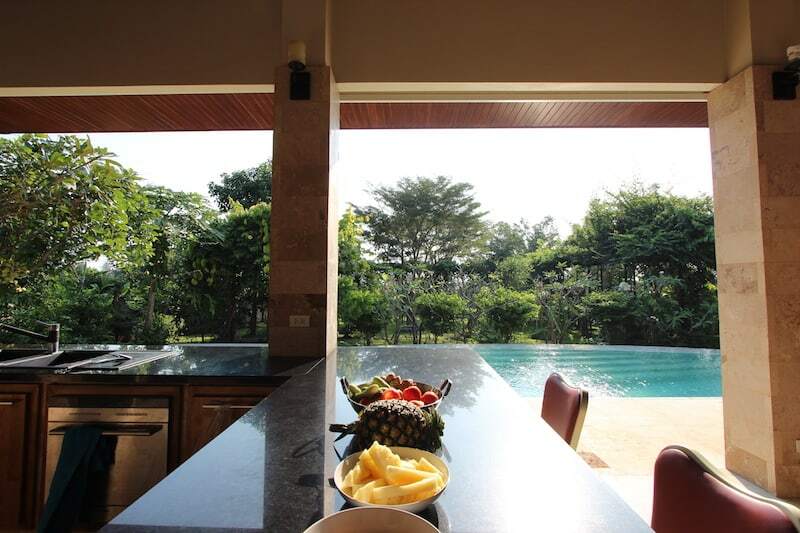 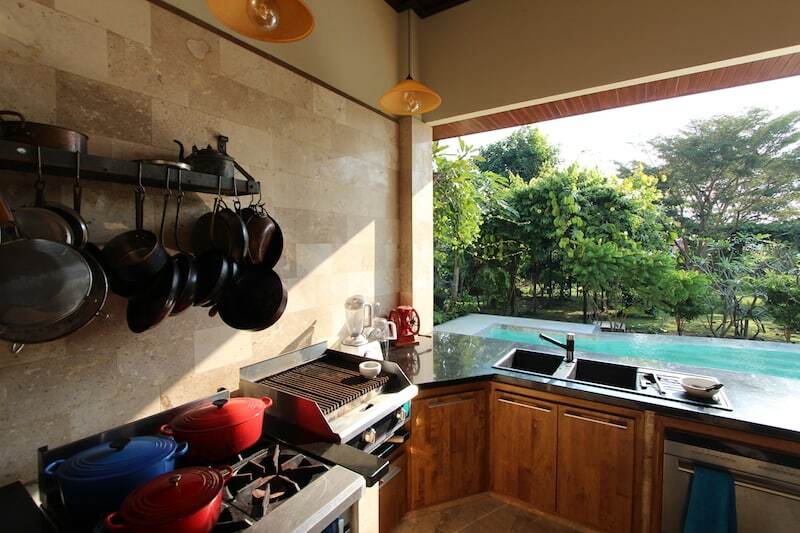 This luxury Bali-style pool villa with lush gardens & nearby mountain views is also located near the Kao Kalok beach. 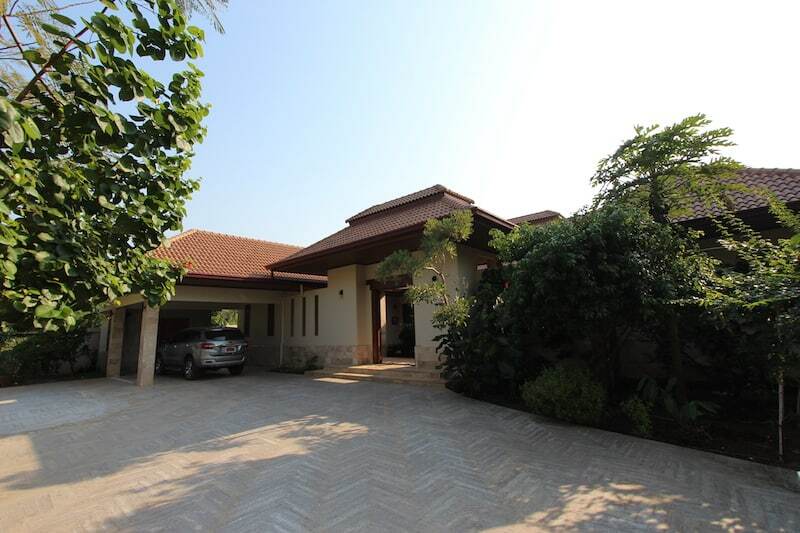 The home is located near the Kao Kalok beach, the national park, 5 star resorts, restaurants, and only 25-30 minutes from downtown Hua Hin! 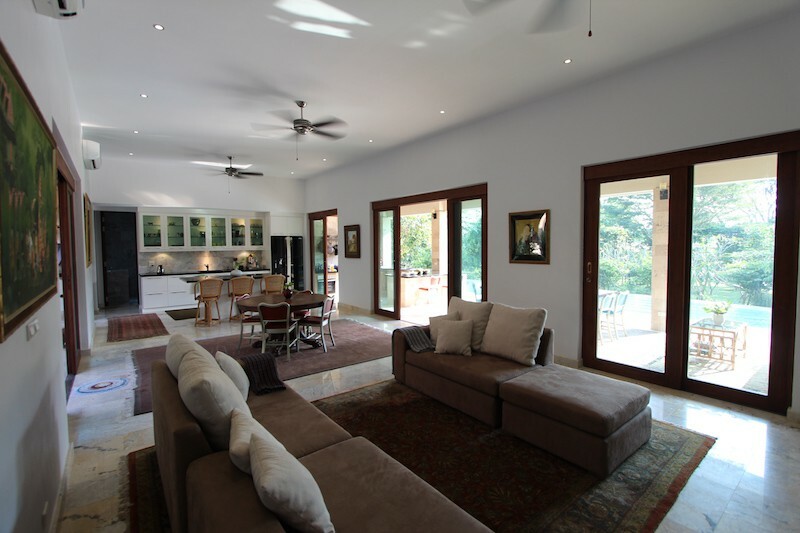 This house is custom built to a very high standard, with extra attention paid to the internal and external electrics, as well as, the plumbing throughout, to ensure a safe and top quality build. 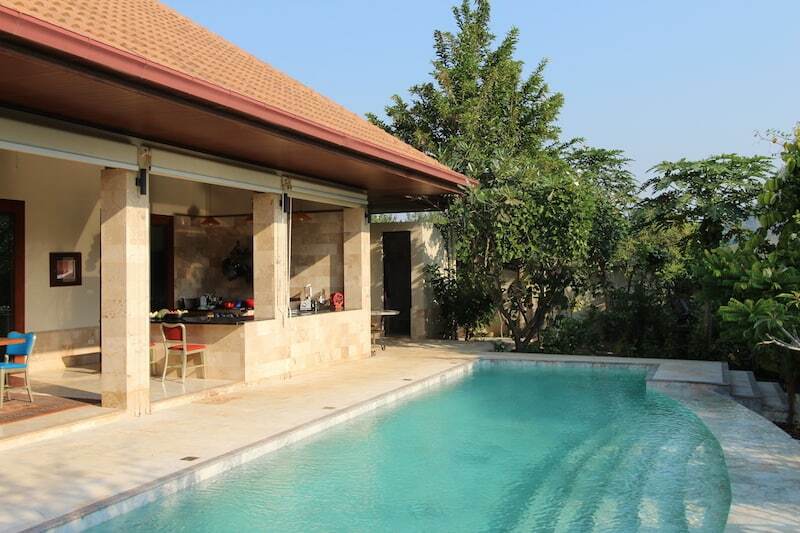 This particular plot of land is 1950+ sqm, serviced with full underground electric and water, 24 hour security, & a full service maintenance staff. 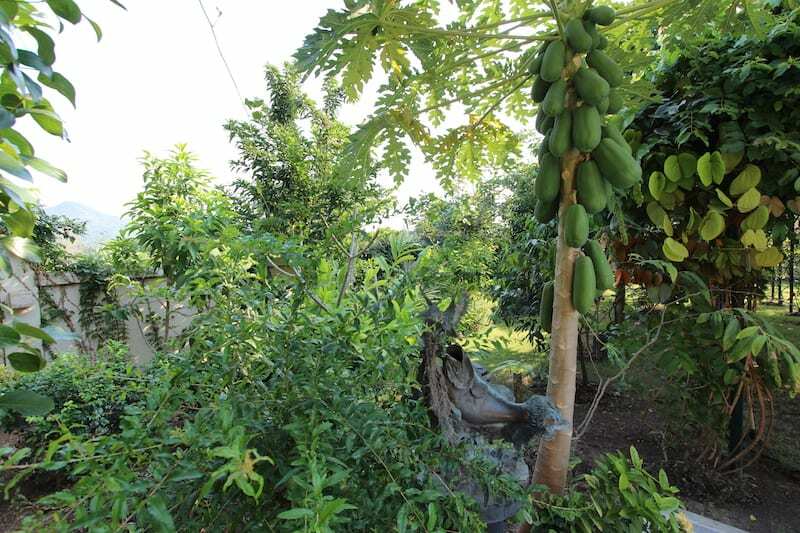 This large private lot of land is fully landscaped with lush and mature fruit trees and other exotic & edible plants, all watered with an automatic sprinkler system. 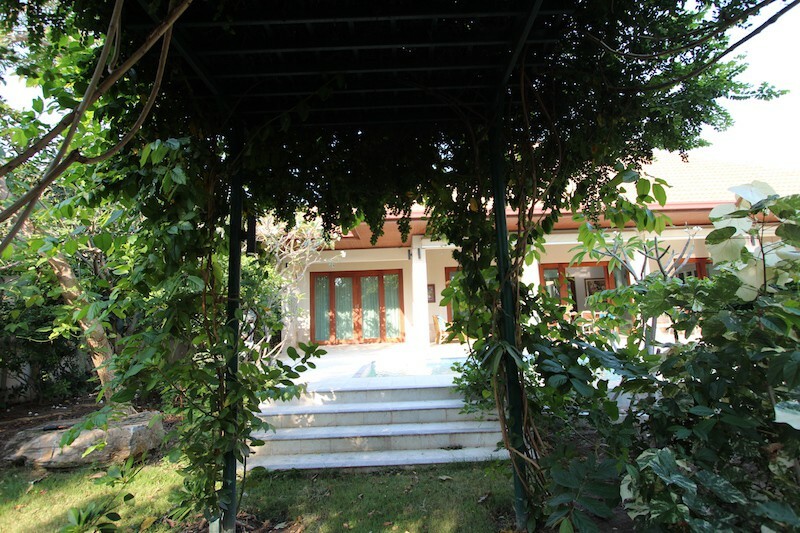 The driveway is tiled with beautiful white and black granite stone and there is a large covered carport with a very large attached workshop and storage area. 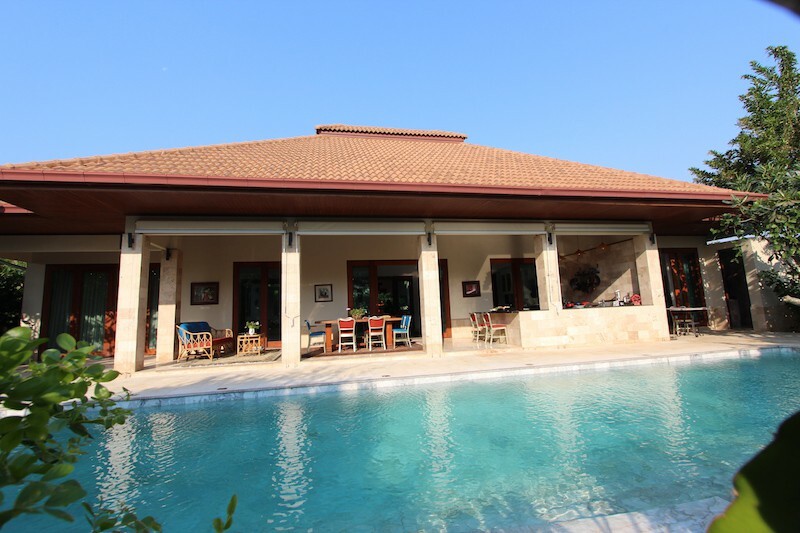 The large, curved infinity edge swimming pool is 14 m x 3.5 (4 m at the top of the curve) and is fully automatic with a saltwater chlorinator. 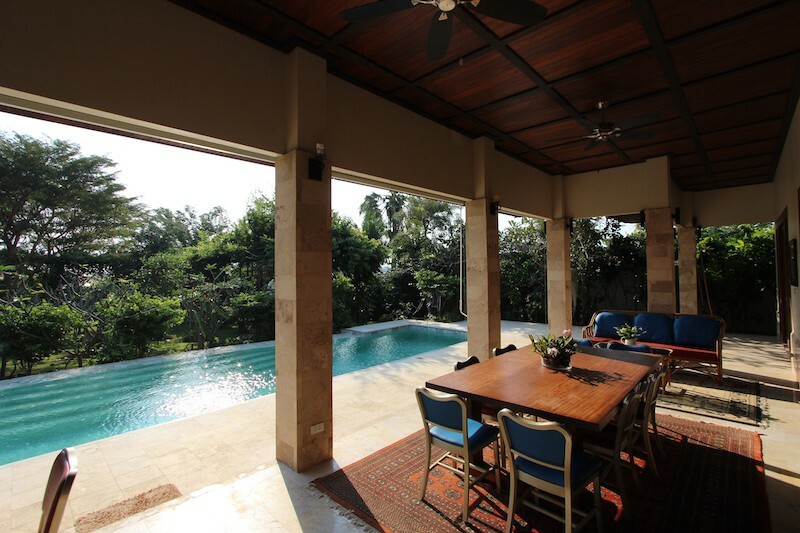 The swimming pool is tiled in natural white marble, creating a glacial, icy blue effect in the water. 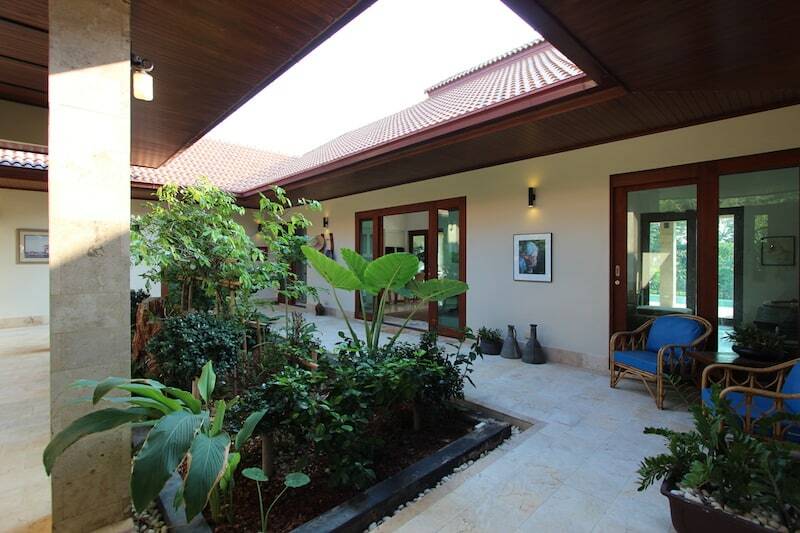 This modern fusion Bali-style home comprises of 3 bedrooms, each ensuite, plus a separate office space, an open plan living room & family room, and two kitchens. 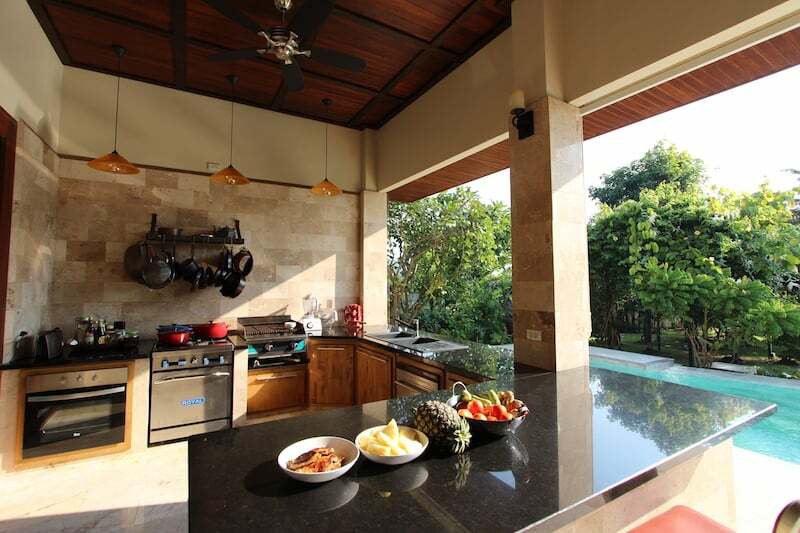 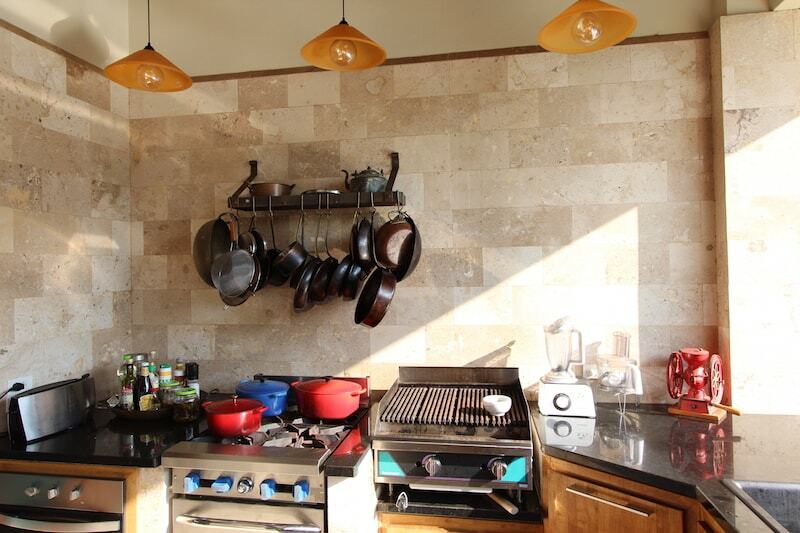 The two kitchens include an interior kitchen with large granite island and coffee prep area, and the second larger, exterior kitchen is a fully equipped professional style gourmet BBQ kitchen, perfect for the entertainment of guests and family. 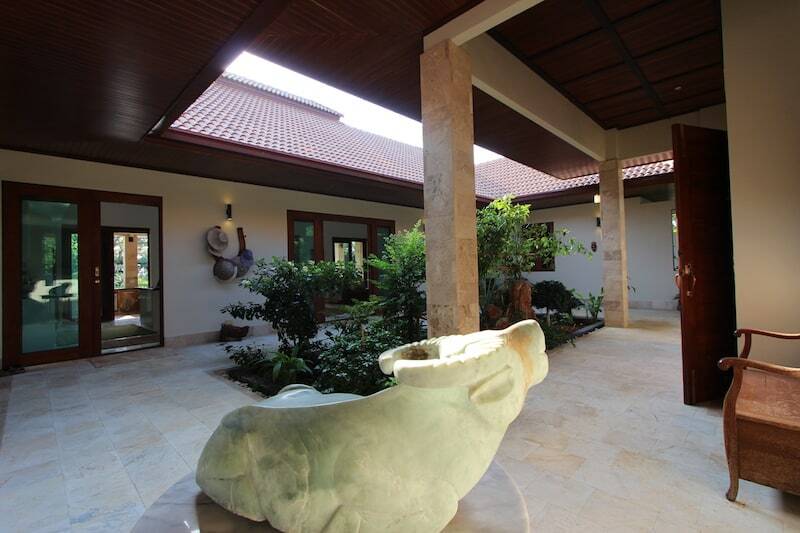 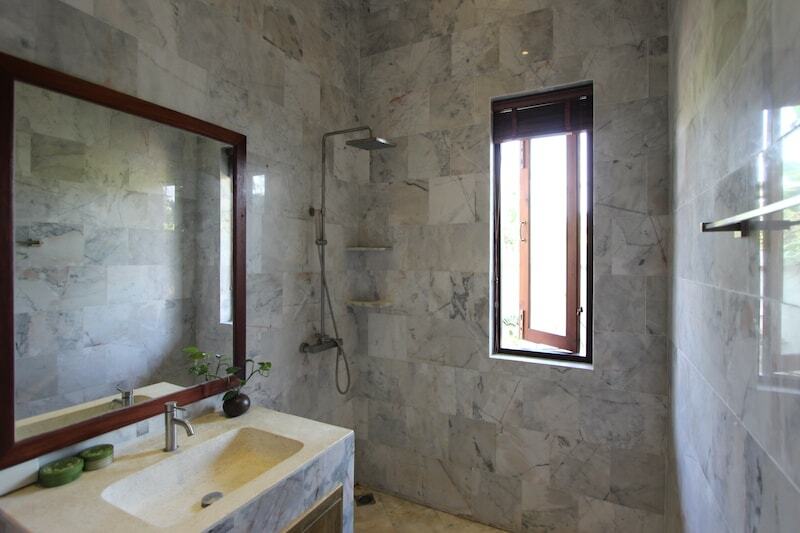 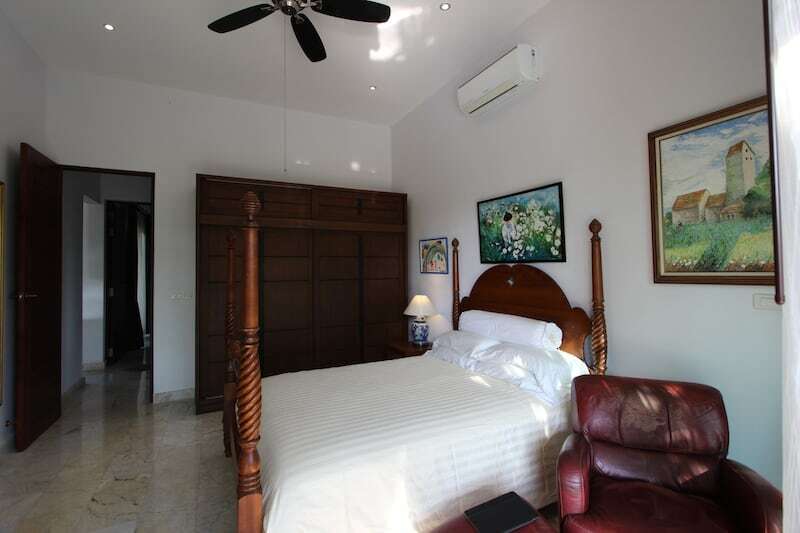 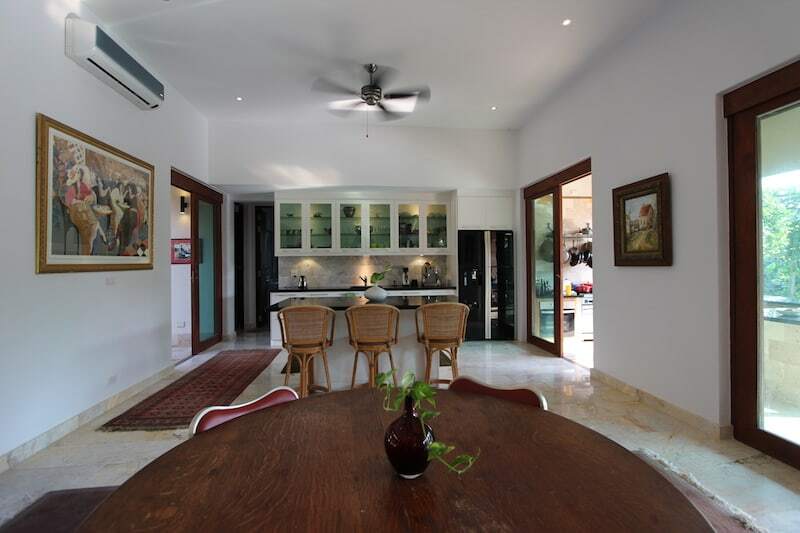 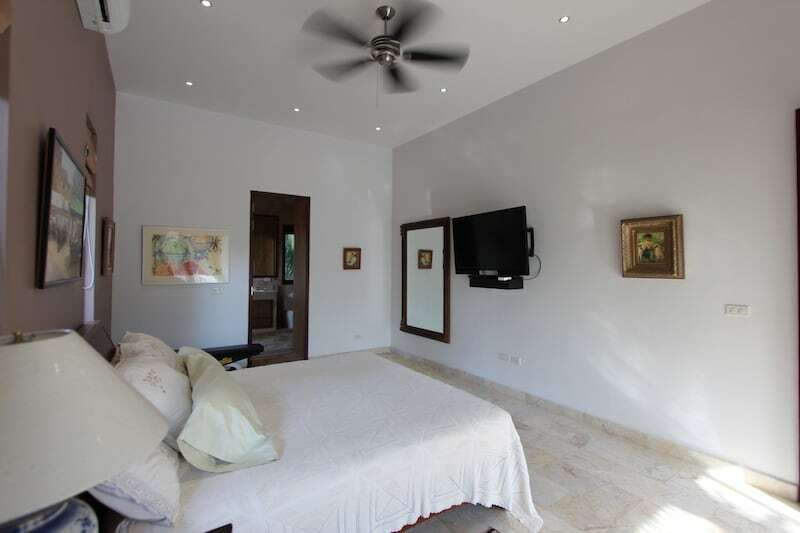 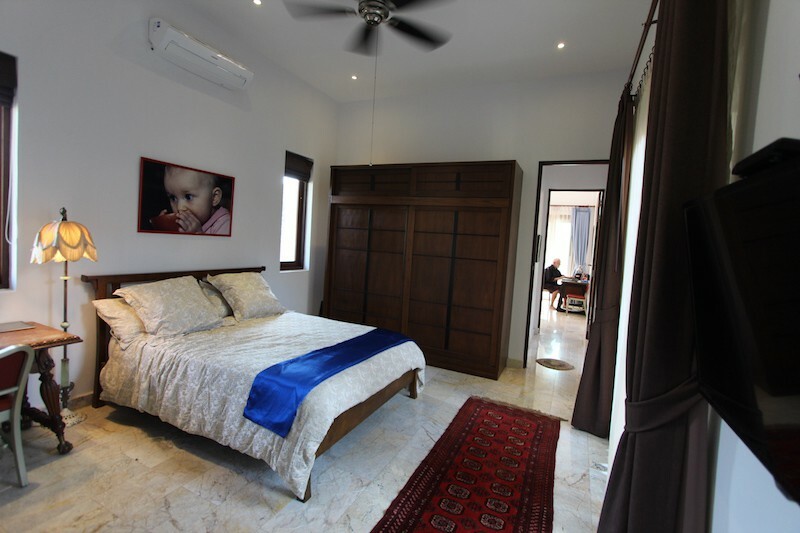 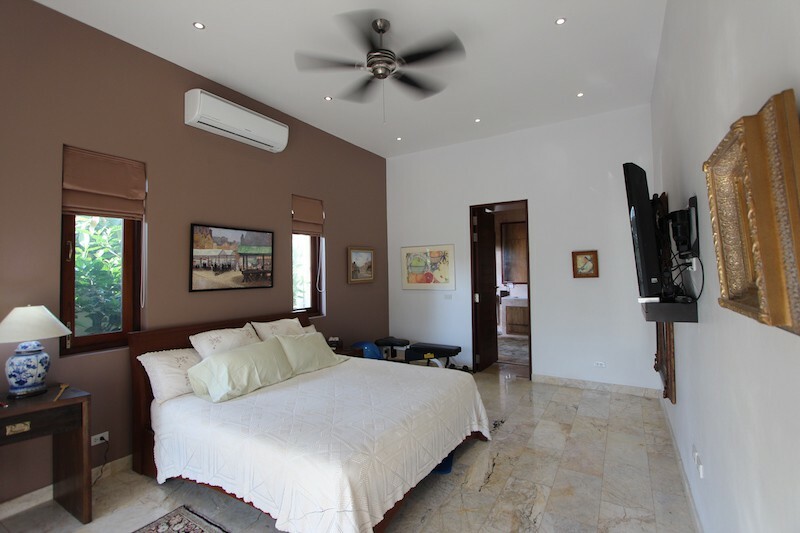 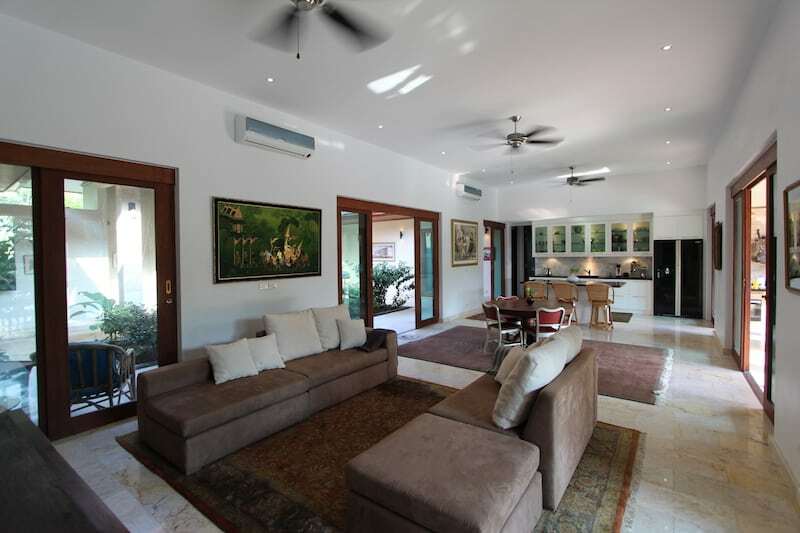 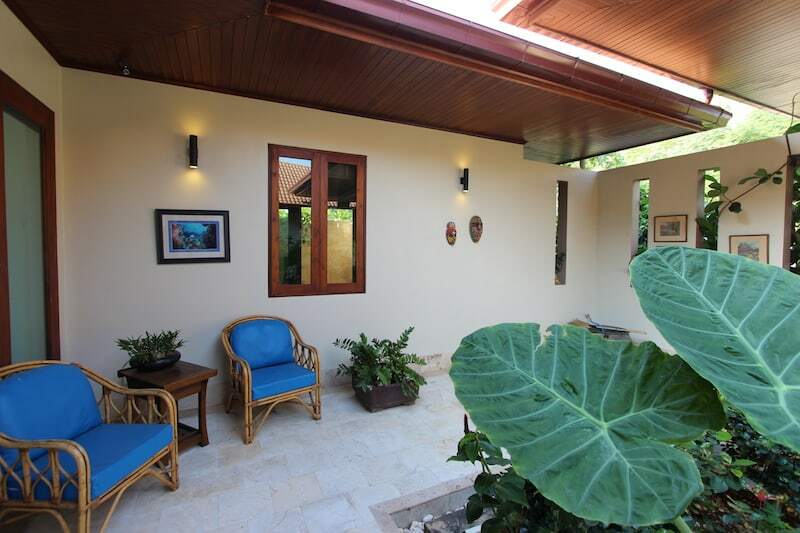 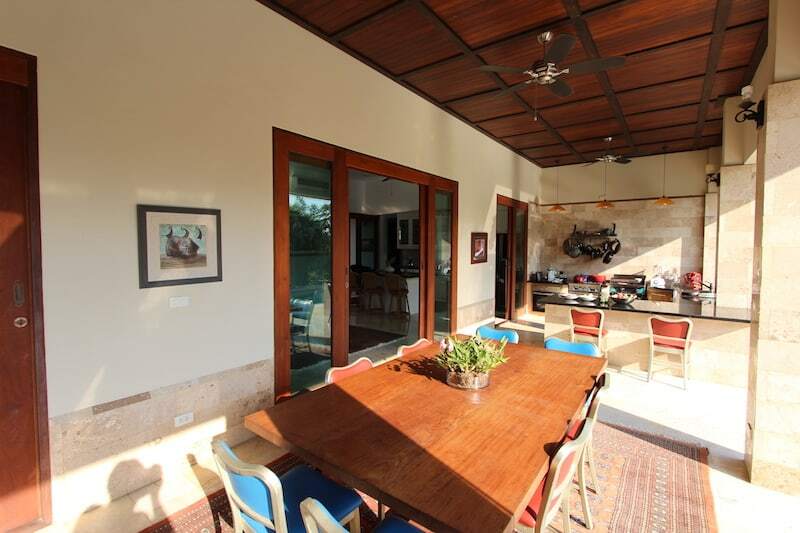 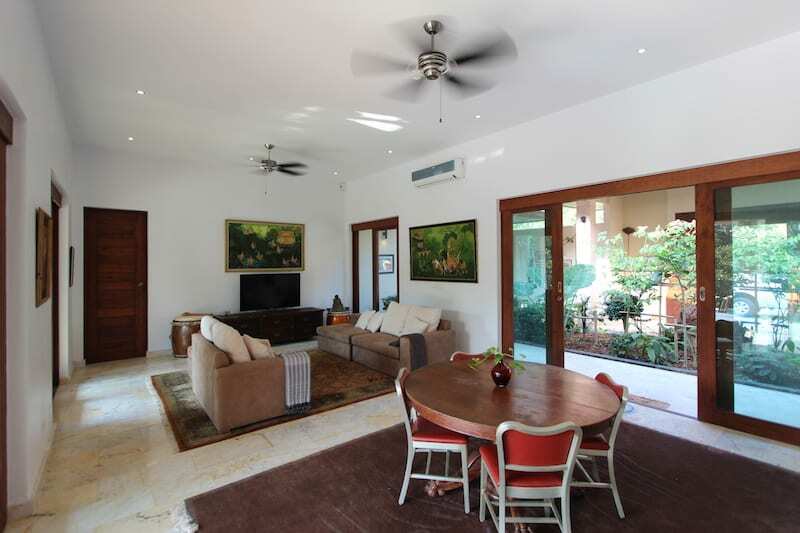 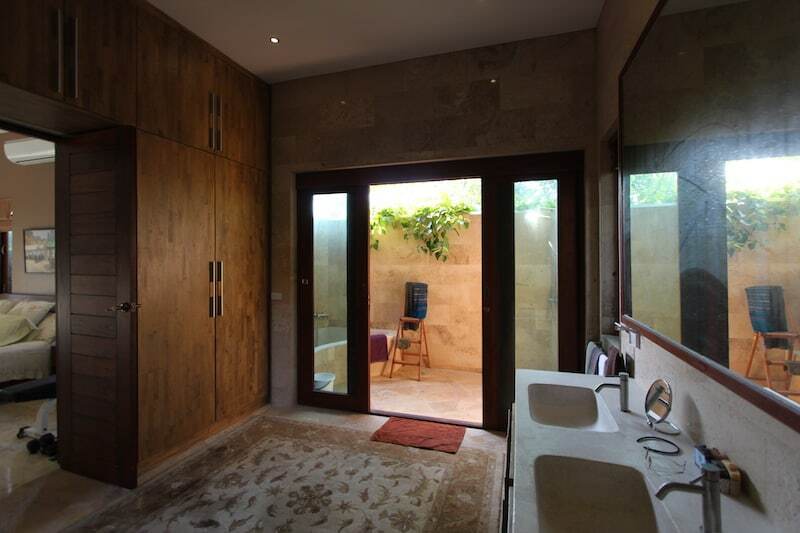 The house is tiled throughout with natural stone, and every room has full air-conditioning. 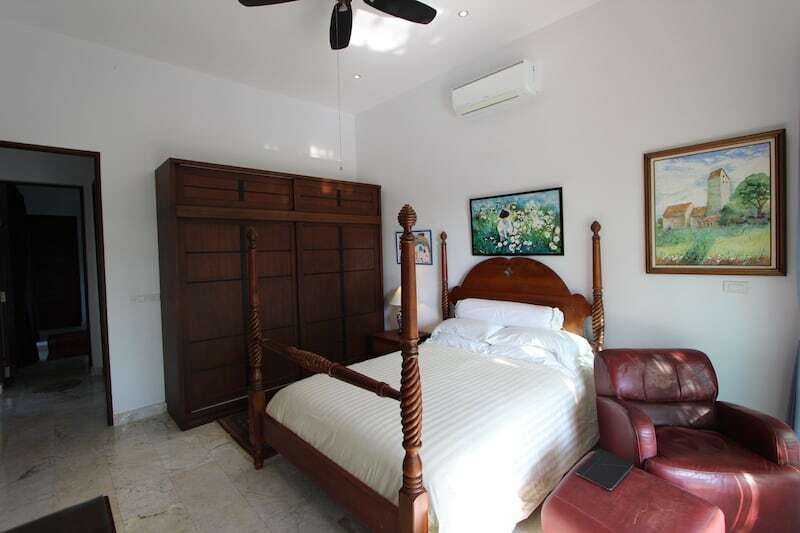 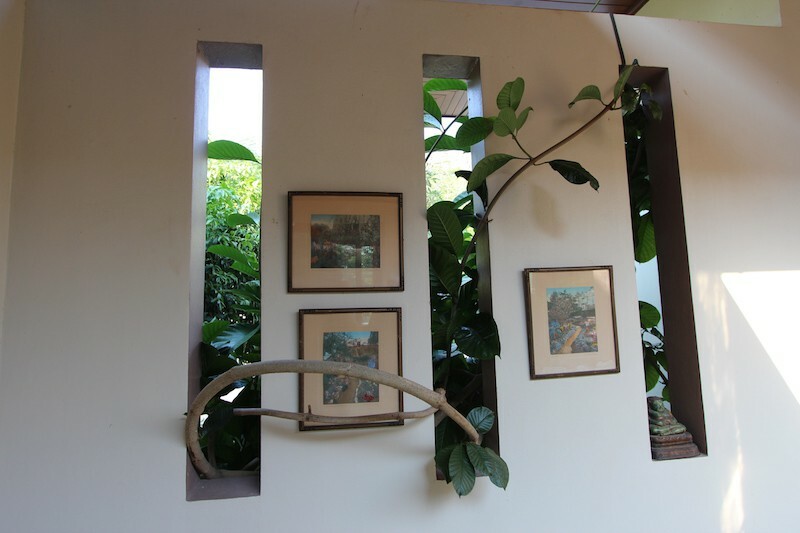 During the day, the house opens up on all sides to allow the near constant sea breezes to flow throughout the home, keeping the house cool without the cost of running AC units all day long. 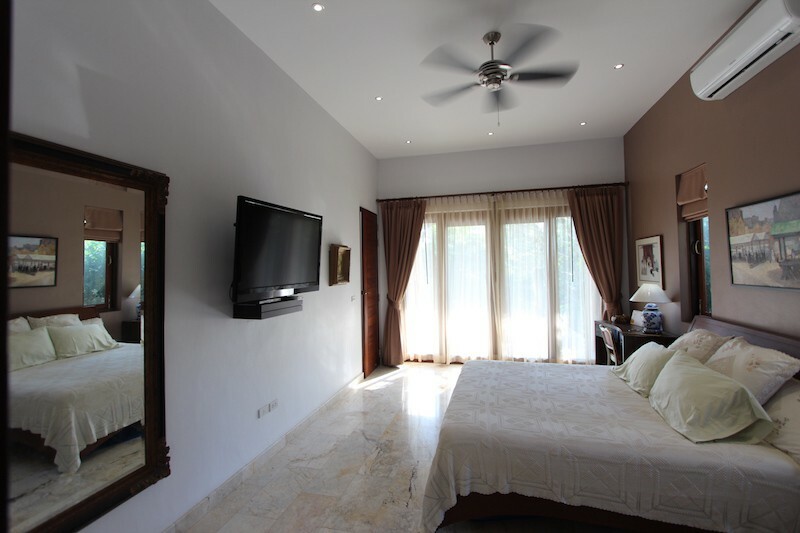 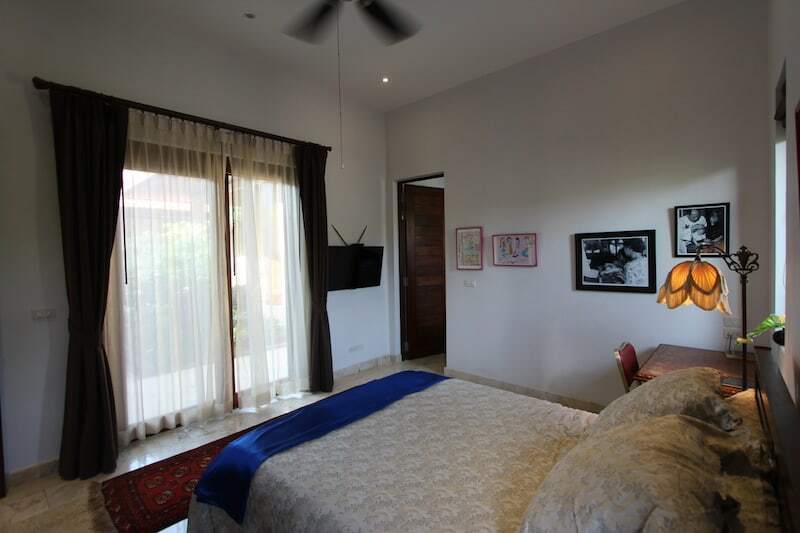 The master bedroom is en-suite with an expansive & open master bathroom, full of light and open space. 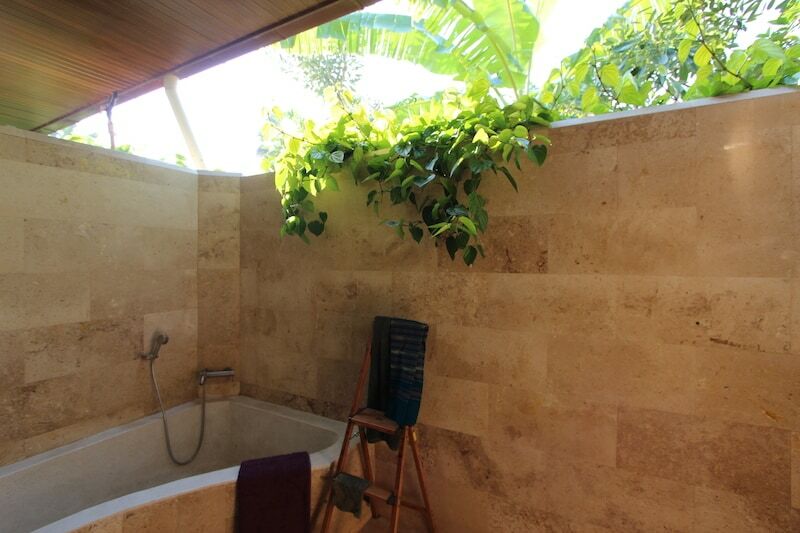 Included with the interior master bathroom is a luxury resort-style, outdoor garden bath and shower. 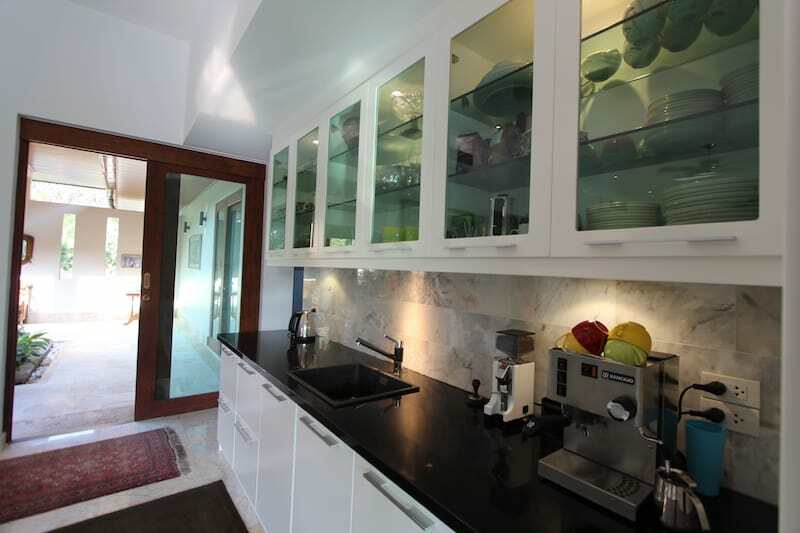 The solid wood built-in wardrobes rise from floor to ceiling, providing ample storage.